I was looking for another cheap racing game to run on my 20''x26''x20'' Eyefinity gaming rig when I stumbled upon this. This is from Need For Speed Pro Street and I got it for 8 bucks so even if I don't like it that much at least it was cheap and I can get my race on in a make believe S.
Not the best but I have 5 gaming systems to keep up so I make do. Last edited by yashooa; 12-20-2010 at 06:35 AM. Haven't played a 'game' in about a year. I feel ya Go but my 9 yr old loves to play them with me. She has a sweet rig as well. We mainly kill Zombies together in Left4Dead 2. I got her to race a bit but she prefers Zombies to apexes. She goes back and forth between online Barbie games and shooters. I think maybe I need to get her a gocart next. I think Need For Speed Hot Pursuit 2010 will get her more into racing games as she can arrest me in it. I assume that they are most racing games. Not too shabby of a rig. I'm pretty sure a lot of racing games have them. Gran Turismo 5 has around a dozen different S2000's in the game. Ah, I should have clarified...what PC games have S2000s. I am not a "consoler." I had a 360 and an old school PS3 60GB but I got rid of both. Runaway snowmobile plows into fans at the Winter X Games. 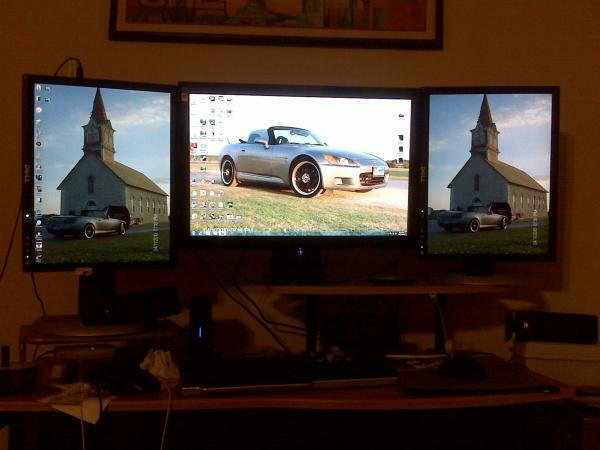 Quick Reply: S2000 in games.